The following information about proposed Navy SEALs training is from our allies, the West Coast Action Alliance. Please read and consider. This PDF of a slide show illustrating where the Navy plans to operate in and around our Puget Sound neighborhoods was provided by a Navy whistleblower. It is 17 megabytes, so may be a bit slow to load, but it’s rather shocking in scope. This EA is woefully inadequate, contains mostly boilerplate language, and answers almost none of the questions raised by a project this large and invasive. The comment period ends next Wednesday, February 21. Should a project of this size be handled in such a minimal way? Shouldn’t it be a full-on Environmental Impact Statement (EIS)? Is this comment period long enough? Certainly not, word is just beginning to get out, and too many affected communities still don’t know about it. CONGRESSMAN RICK LARSEN: (202) 225-2605. You can also email them via comment boxes on their web sites. 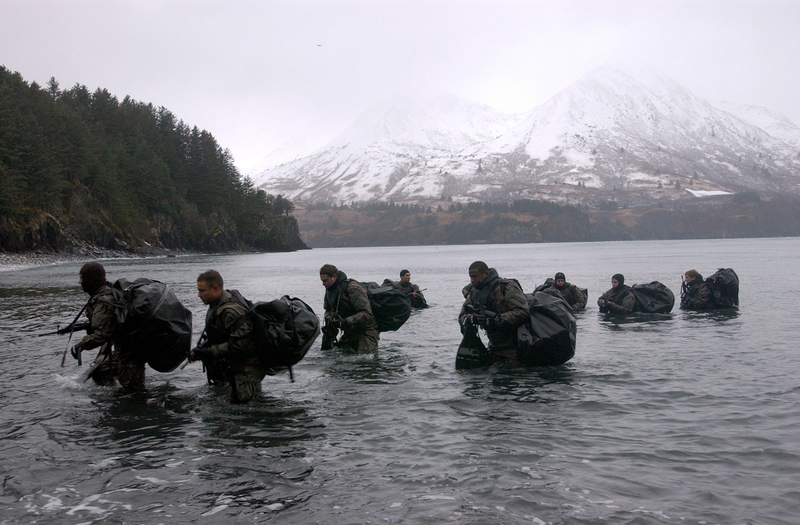 I am asking you to please tell the US Navy to extend the comment period for the Environmental Assessment on Naval Special Operations Training in Western Washington State for 30 days. 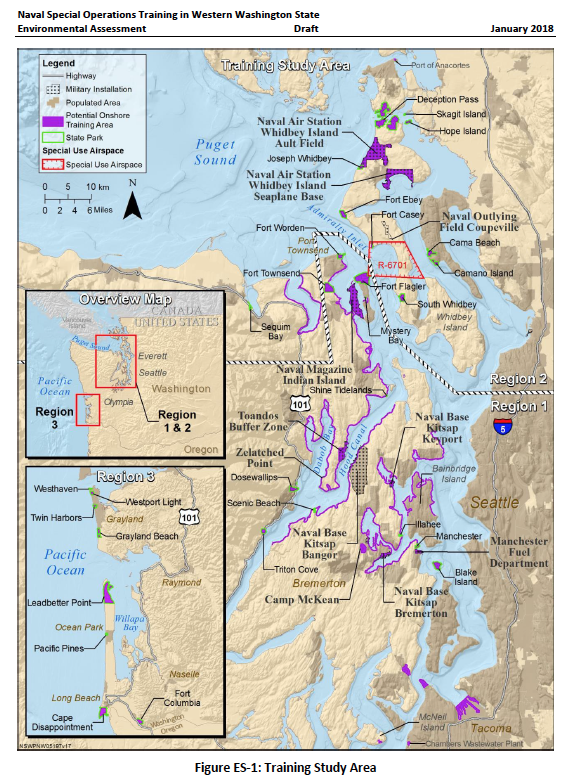 The public is just learning about its existence, and due to the fact that communities and private landowners along more than 265 miles of shoreline in Puget Sound will be potentially affected, a comment period that ends next week, on February 21, is insufficient. Thank you for your assistance. The West Coast Action Alliance will be providing sample language in a few days for anyone who wishes to make official comments on the EA.